WASHINGTON (CN) – The Federal Election Commission has the discretion to give a pass even in the face of “obvious” campaign-finance law violations, a federal judge ruled. Wednesday’s ruling comes in response to complaints over the FEC’s decision not to prosecute a group that spent millions promoting Republican politicians despite obtaining tax-exempt status as a public-welfare organization. 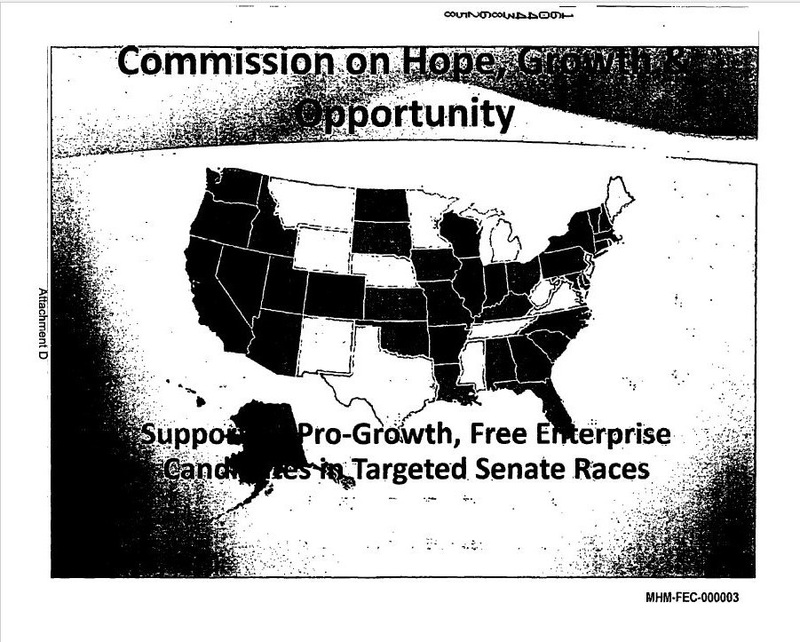 When the Commission on Hope, Growth and Opportunity formed in 2010, it told the IRS in official paperwork that no part of its budget would be spent on influencing elections. Though its investigation found that 85 percent of the nonprofit’s money went toward exactly that, the FEC voted to close the file in late 2015. Calling pursuit of the enforcement process “pyrrhic,” the FEC noted that the nonprofit had already shut itself down and that five-year statute of limitations on the group’s violations was set to expire. Unwilling to accept that result, Citizens for Responsibility and Ethics in Washington filed suit against the FEC. CREW, as the group calls itself, complained that the commission’s blind eye toward flagrant violations helps “create a roadmap for other groups” with similar ideas. U.S. District Judge Rudolph Contreras granted the commission summary judgment Wednesday. There is little dispute that CHGO, the target of CREW’s ire, did its best to influence elections despite telling the government it would do no such thing. The nonprofit ran advertisements in 15 markets, including one that named specific politicians running for office during the 2010 midterm elections, according to the ruling. In one ad to “Stop the Big Spenders in Congress,” CHGO stumped for Steve Southerland, the Republican campaigning to unseat a seven-term Democratic incumbent in Florida. Because of the way CHGO filled out its IRS paperwork, it did not have to disclose the names of its donors in the same way that political organizations must. Boyd meanwhile lost his seat to Southerland. When the FEC urged CHGO to preserve its records because of the investigation in January 2012, the group opted to wind down operations. “My sense is that we ought to shut it down to make things less complicated moving forward,” one member wrote in an internal email about the FEC’s communications, according to the ruling. Contreras agreed with the commission’s point, however, that an investigation into a defunct organization like CHGO would be difficult and likely fruitless.